This Mainship Mark III is a very comfortable cockpit motor yacht designed for coastal cruising. 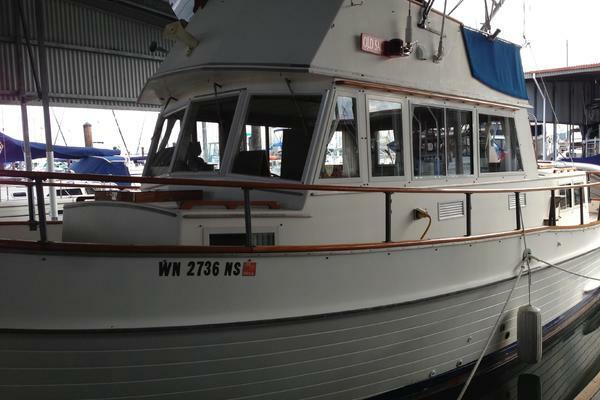 She comes with a large flybridge and bimini (with enclosure) top, the helm is forward with excellent sight lines and room for guests to share the view, large cockpit for fishing or entertaining (transom door provides access to a swim platform with boarding ladder), roomy salon entered via large glass sliding doors, full galley, and private stateroom. She is a full-featured cruiser with comfortable accommodations, well equipped, has been well maintained and ready to cruise. Powered by a Marine Power 350 Sport Pac gasoline engine with 260 horsepower and 869 hours, this motor yacht provides trawler economy and durability. 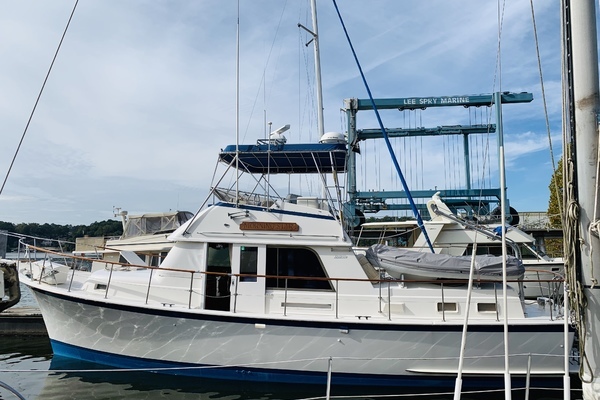 West Florida Yachts would love to guide you through a personal showing of this 34' Mainship Mark III 1984. 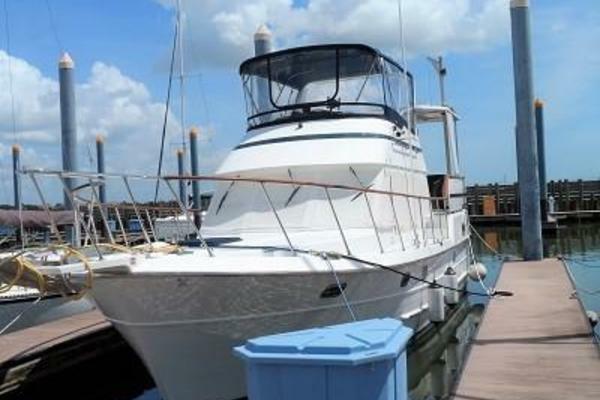 This yacht for sale is located in Elberta, Alabama and priced at $23,900. For a showing please contact us by filling out the form on this page and we will get back to you shortly! Enter the vessel through the sliding glass door and immediately to port is a large area for seating. To starboard are three large storage cabinets, a long table and lower helm with full controls. Forward and down to port is the galley and to starboard is the head with separate stall shower. The forward stateroom has a large V-berth with insert, under-berth storage, flat screen TV and hanging lockers. An enclosed head is starboard with vanity and stand-up shower stall.